Where is the Pakistan Red Crescent Located? The Pakistan Red Crescent has a headquarters in Islamabad, Pakistan and has several provincial and district branches throughout the country. This makes it possible for us to respond to and adequately attend to those stricken by disasters in a minimum amount of time. How Long Has the Pakistan Red Crescent Been in Pakistan? The Pakistan Red Crescent is the oldest and renowned humanitarian organisation of this country. It’s foundation was laid down by Quaid-e-Azam Muhammad Ali Jinnah, the founding father of Pakistan, in 1947. This is also the same time as the independence of Pakistan. What Does the Pakistan Red Crescent Do? We respond to emergencies, natural and man-made disasters and provide humanitarian relief to those most in need. This is done in a totally neutral and nondiscriminatory way to alleviate the suffering of the most deserving to the best of our abilities. 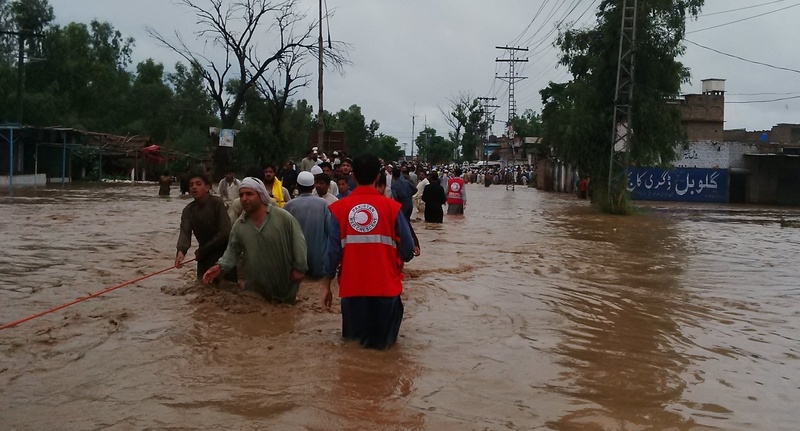 Why Are Volunteers So Important to the Pakistan Red Crescent? Throughout the world where the Red Cross/ Red Crescent Movement is present, volunteers are considered to be the lifeline of any relief operation and work done by us. This is because we are spread throughout the country and cannot have a huge amount of paid staff. Being a humanitarian organisation funded by donations and grants, volunteers donate their time and effort to bring about a difference in their communities and help us in achieving our goal of reaching the most vulnerable members of society.